Julia is a passionate marketing & sales professional with experience spanning Tech, FMCG, Automotive and Digital Media Sales. Julia is currently the Head of Hardware Marketing at Google Australia, where last year she spearheaded the launch of Pixel, the first phone by Google. She is responsible for leading a team who are tasked to bring Google hardware products to market with sophisticated campaigns that drive awareness, consideration and intent, and winning in the last 5 feet with high quality retail experiences that simplify ‘why to buy’ and drive conversion. Prior to this, Julia led marketing for the Search Marketing in Australia & New Zealand, where she was responsible for driving awareness, usage and downloads of the Google app. Julia’s work on the Google app showed her passion for designing campaigns with innovation at the core whilst also driving business results. in 2016 Julia won AC&E Grand Prix award & the Pinnacle award for Innovation. The campaign was also recognised by the APAC Festival of Media Awards. Julia’s innovative marketing partnerships with MasterChef and The Voice broke new ground in Australian advertising, including creating over 25 live commercials featuring content from The Voice that aired only a few minutes after the show. 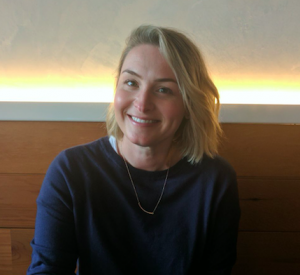 Julia also has extensive experience in Google’s sales organisation, leading the development of scalable sales narratives to drive adoption of Google’s performance solutions for 2 years before joining the marketing team. Prior to her career at Google, Julia spent 5 years at L’Oreal Australia where she led marketing across several brands including L’Oreal Paris, Garnier and Maybelline. Originally from Melbourne, Julia now resides in Bondi. In her spare time, she a passionate foodie – she loves trying new restaurants or cooking at home in her kitchen.